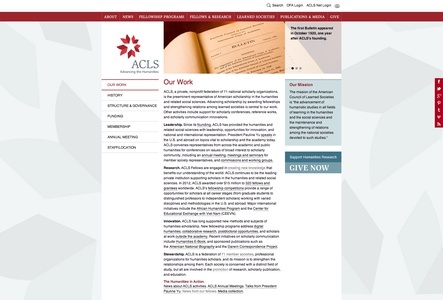 The American Council of Learned Societies, a private, nonprofit federation of seventy national scholarly organizations, is the preeminent representative of American scholarship in the humanities and related social sciences. 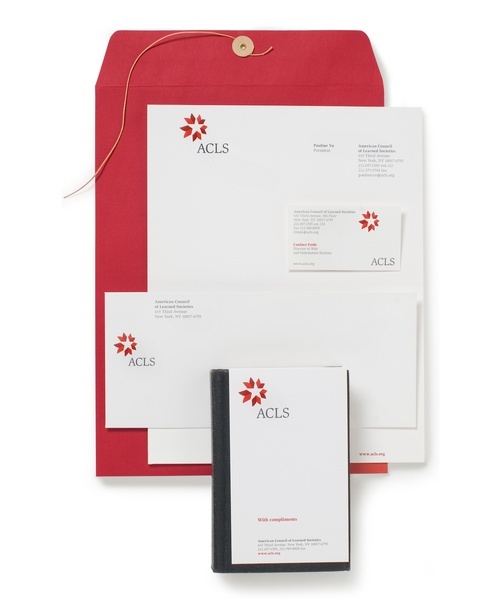 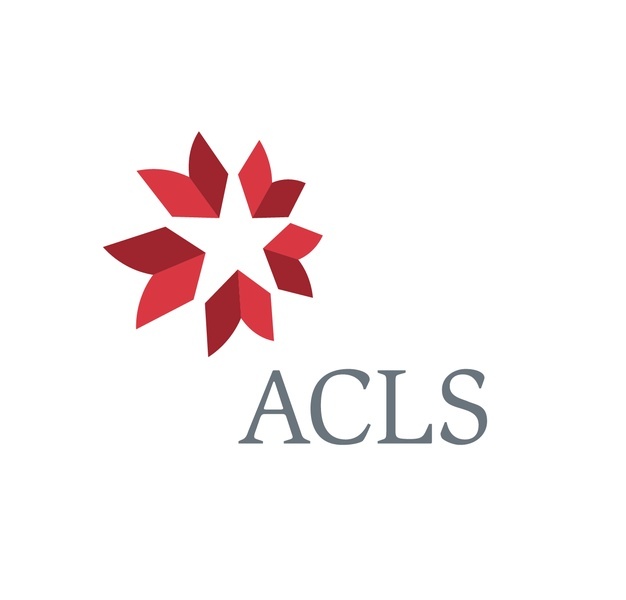 ACLS was in need of an updated identity and print materials, and a new website. 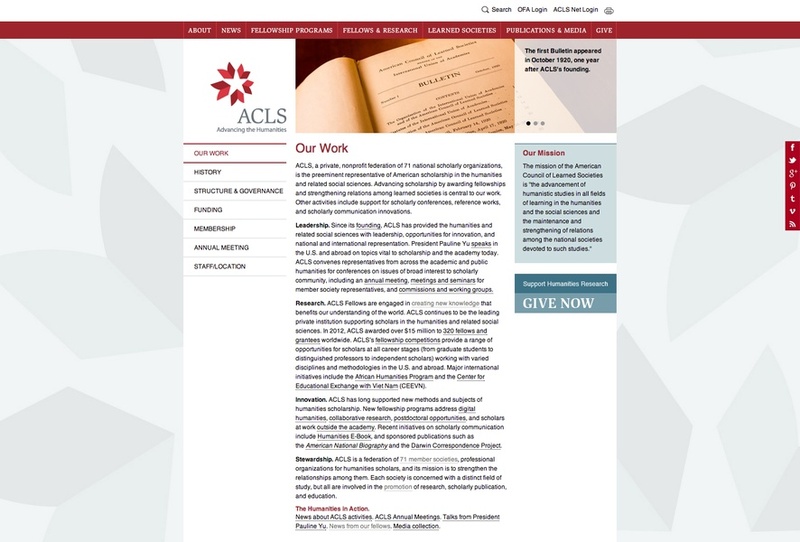 CGP proposed a tuneup rather than a total redesign. 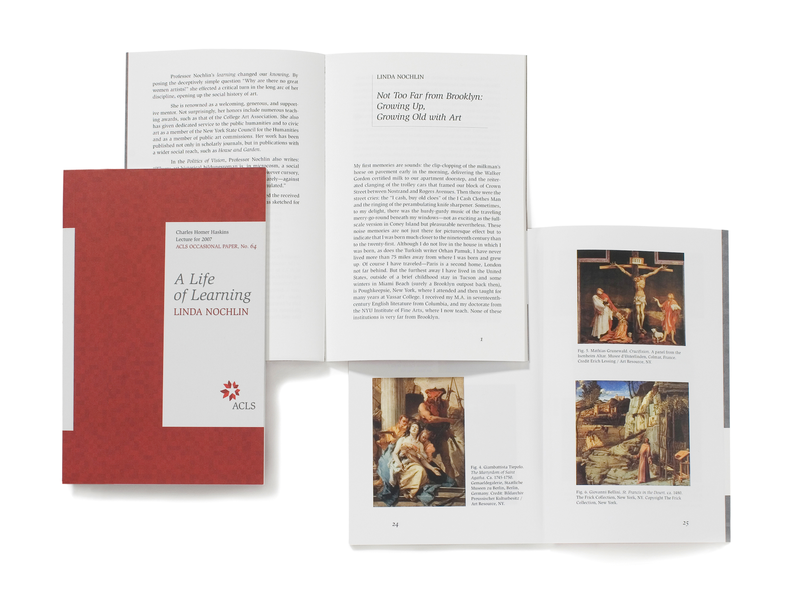 By doing so, the visual connection to the already-established and meaningful elements of the five books and the star was retained. This applied a timeless but dynamic quality to the mark and the refreshed color palette.